It’s here! It’s here! 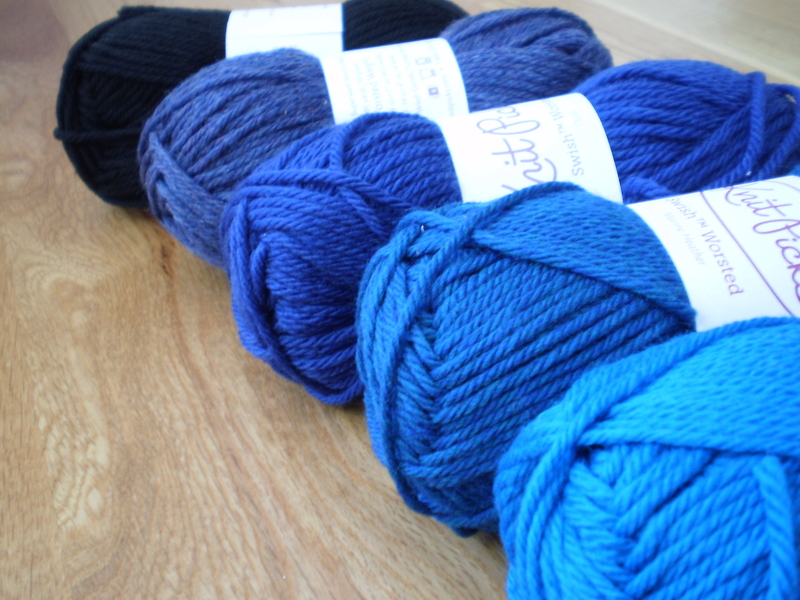 Let’s all ooh and ahh at the beautiful yarn! Next step is to whip up a swatch. I have been brainstorming this sweater, and I think that plain stripes are too boring, so I’ve decided to do a little scallop design between each stripe, so I’m going to include that in my swatch, to see how it looks. Two birds. One stone. 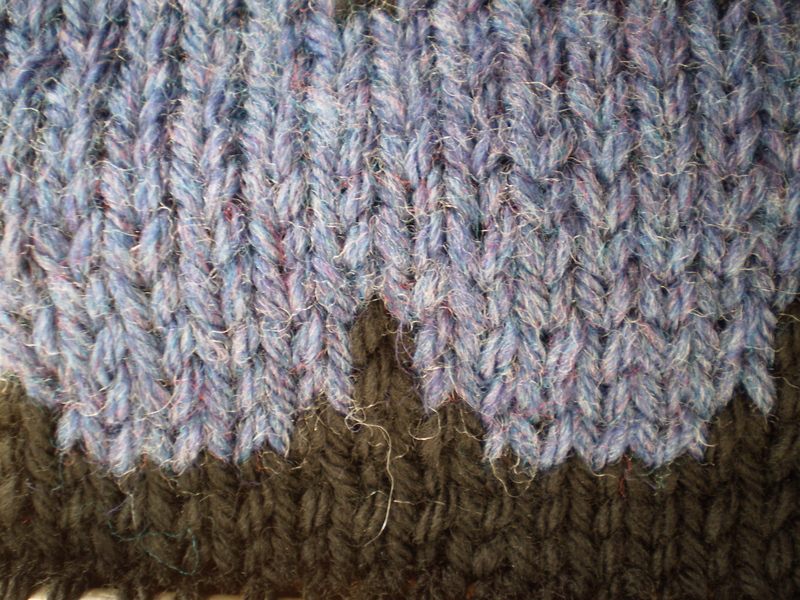 I knit up a square of fabric about six inches by six inches. 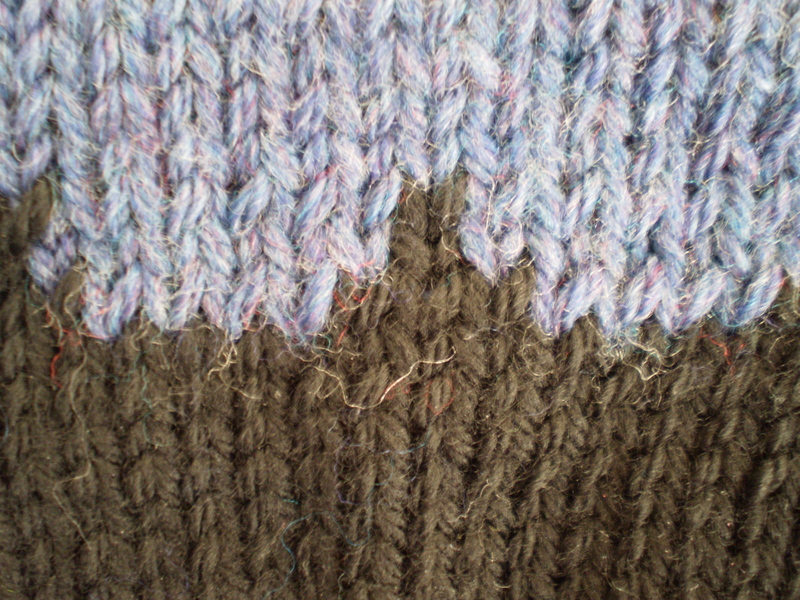 And I’ve worked my scallop pattern both right-side-up and upside down, to see which I like better. This is the upside-down version, but I think it makes the scallops look a little rectangular. This is the right-side up version, which I like better. This means that I will need to work my sweater from the bottom up, which is important to know when I start designing my pattern. I pulled out my gauge meter (you could just use a ruler or tape measure) and measured out my gauge. 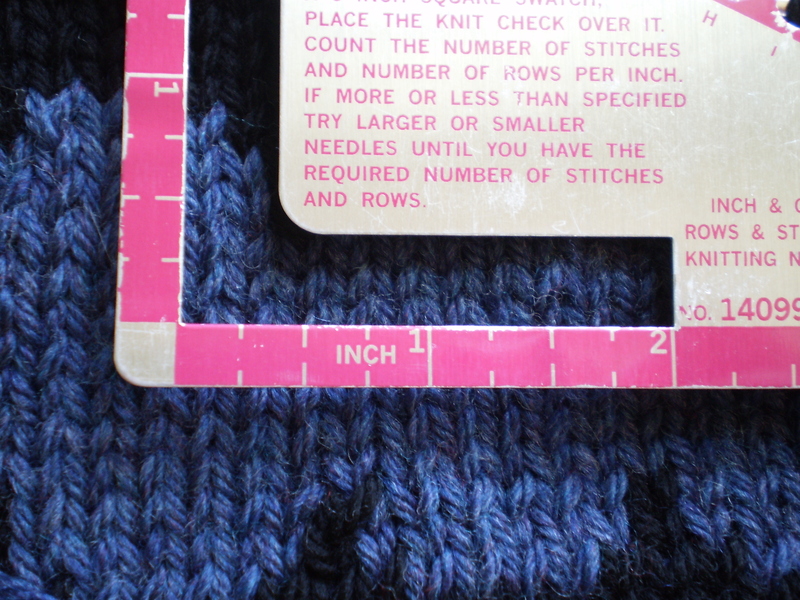 I got 5 sts per inch and 7 rows per inch in stockinet stitch on size 8 needles. So, now that I know my gauge, and the general design I want to use (bottom up pullover), I do a little math and sketch out my pattern. I’m basing this one on Elizabeth Zimmerman’s Percentage System, to give me the bones of the sweater, but I’m tweaking it a bit to deal with an all-over stripes pattern, instead of only a yoke pattern. Believe it or not, those chicken scratches make sense to me. 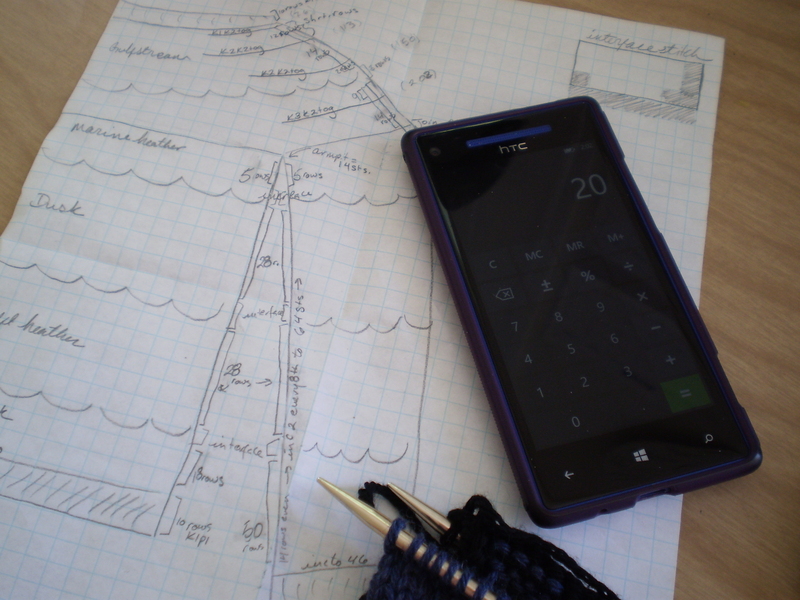 I usually sketch out my pattern like this (on a drawing), before I start knitting. Then, as I knit up the pattern, I’ll make notes into a notebook or on my computer in more standard knitting lingo. But, for now, this will do nicely for me. Now I get to go cast on! Woo! This entry was posted in Techniques and tagged bird, cardigan, design, eps, knitting, pullover, scallop, stripes, sweater on May 2, 2014 by onemilljellybeans.